Colombian artist Oscar Muoz has developed an important body of work investigating the status of the image in relation to memory. Spanning more than three decades, Muoz’s oeuvre defies easy categorization. He moves freely between photography, printmaking, drawing, installation, video and sculpture, effectively blurring the boundaries between media through unconventional and unprecedented rocesses. He experiments with several techniques in what he refers to image-making in an expanded field, innovating processes on improbable substrates, including silk-screen on water, airbrush drawing on dripping-wet Mylar, and screen-printing with grease on mirrors. He is also renowned for his use of fire to create images by following the dot-matrix pattern of photolithography. The resulting body of work is as much grounded in the intrinsic qualities of the materials employed as in the poetic associations they embody. In the last five years, SCAR MUOZ‘s work has experienced a monumental crossover into Europe and North America, with group shows across Europe and the United States, and acquisitions of his work by the Tate Modern, L.A. MOCA, the Miami Art Museum, the Hirshhorn Museum, the Museum of Fine Arts, Houston, and La Caixa in Barcelona, among others. Muoz participation in the 52nd Venice Biennale in 2007 was widely regarded as a highlight of the event. Imprints for a Fleeting Memorial is an exhibition of twelve works that offers a comprehensive overview of Muoz’s creative process. YYZ presents Ambulatorio in its Y Gallery. It is the artist’s first solo exhibition in North America. The exhibition is curated by JOS ROCA, Director of Arts at the Banco de la Repblica in Bogot, Colombia. 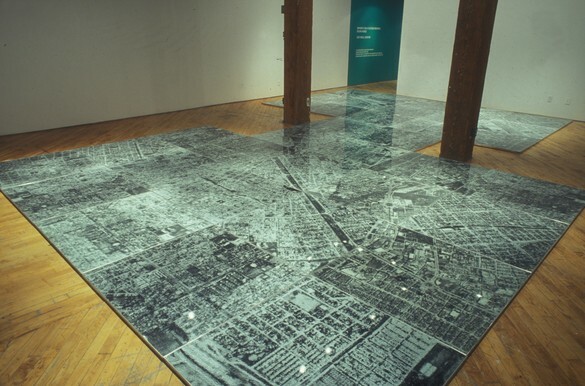 Roca was co-curator of the San Juan Poly/Graphic Triennial (2004) and the 27th So Paulo Biennale (2007). He is currently Artistic Director of Philagrafika (2010) in Philadelphia. An international travelling exhibition. Commissioned by Prefix Institute of Contemporary Art and presented with the support of Alcuadrado Gallery (Bogot), Sicardi Gallery (Houston) and the Canada Council for the Arts.